In the meantime, Fisker plans to launch its Emotion electric car at CES 2018 in just 2 months. Though Fisker is a very small car company that is currently taking deposits for its upcoming EMotion electric sedan, there are reasons to believe that the company could fulfill this promise. One of the members of the battery-development team was a co-founder of Sakti3, a company that formed to develop new batteries and announced its research into solid-state technology back in 2011. That company was purchased by Dyson, the vacuum cleaner company, which also intends on producing electric carsthat AutoExpress reports will feature solid-state batteries in 2020. Toyota is also expected to have solid-state batteries just ahead of Fisker around 2022. Cancer is often referred to as “smart,” and this term often refers to the ability of these cells to proliferate without purpose or restraint. The ability of cancer cells to develop multidrug resistance (MDR), a major problem that patients can face, making treatment against this disease even more elusive. In an effort to combat both cancer cell proliferation and MDR, a recent study conducted by researchers from the National Health Research Institutes of Taiwan and the National Science Council of Taiwan have developed a nanosystem capable of addressing both challenges in the field of cancer therapy. Patients with several forms of blood cancer and solid tumors in the breast, ovaries, lungs and lower gastrointestinal tract can become untreatable as a result of multidrug resistance (MDR). In MDR, the cancer cells of these patients become resistant to commonly used therapeutic drugs as a result of an overexpression of ATP-binding cassette (ABC) transporters that effectively push out drug molecules following administration. P-glycoprotein and what is termed as the multidrug resistance-associated protein (MRP) are two of the most studied pumps present in cancer cells that are capable of rejecting chemotherapeutic drugs. By avoiding the toxic effects of these drugs, cancer cells are able to continue to proliferate and metastasize to other organs of the body. Unfortunately, some of the most commonly used cancer therapeutic drugs such as colchicine, vinblastine, doxorubicin, etoposide, paclitaxel, certain vinca alkaloids and other small molecules have shown resistance in various cancer cells. Current research efforts in the field of anticancer drug discovery have looked towards the administration of combinatorial technology to be administered with cancer to effectively prevent cancer cells from physically removing therapeutic drugs when administered together. While blocking the action of pumps like MRP and P-glycoprotein has shown some efficacy, transcription factors, such as c-Jun, which plays a role in cell, proliferation and MDR, can still potentiate metastasis. Therefore, there remains a need to develop cancer therapies that work against drug resistance and simultaneously prevent further metastasis. Mesoporous silica nanoparticles (MSNs) are well-documented drug delivery vehicles that allow for a high drug loading capacity with minimal side effects upon administration. The tunable size properties, thermal stability, photostability and ease of functionalization to different applications make MSNs one of the most promising options for therapeutic delivery systems. In the recent study published in Nano Futures, the group of scientists led by Leu-Wei Lo covalently conjugated MSNs with doxorubicin and tested the ability of these nanosystems to be taken up by cancer cells in vitro. The PC-3 cell line of metastatic human prostate carcinoma cells were treated with 100 μg/ml of either Dox-MSNs that were conjugated with DNAzyme, (Dox-MSN-Dz), Dox-MSNs or control MSNs for 24 hours to study the ability of these cells to survive following treatment. The researchers found the Dox-MSN-Dz reduced cell survival rates by over 80%, whereas the Dox-MSNs alone still reduced cell survival rates by 60%. The results of this study confirm the therapeutic potential of the developed multifunctional nanosystem, which incorporates doxorubicin, a widely used chemotherapeutic drug, MSNs and DNAzyme. Not only did this nanosystem improve the cytotoxicity of doxorubicin to a resistance cancer cell line, but it also successfully reduced migration of cancer cells by inhibiting c-Jun. While further in vivo studies need to be conducted to fully evaluate the ability of Dox-MSN-Dz to prevent metastasis and invade highly resistance cancer cells, the results of this study are promising. Future research initiatives that incorporate different chemotherapeutic drugs into a similar nanosystem design could also show similar bifunctional properties as presented here. 1	“A co-delivery nanosystem of chemotherapeutics and DNAzyme overcomes cancer drug resistance and metastasis” S. Sun, C. Liu, et al. Nano Futures. (2017). DOI: 10.1088/2399-1984/aa996f. “Graphene as we know has a lot of opportunities. One of them, recognised early on, is space applications, and this is the first time that graphene has been tested in space-like applications, worldwide,” said Prof. Andrea Ferrari (University of Cambridge, UK), Science and Technology Officer of the Graphene Flagship. Graphene’s excellent thermal properties are promising for improving the performance of loop heat pipes, thermal management systems used in aerospace and satellite applications. Graphene could also have a use in space propulsion, due to its lightness and strong interaction with light. The Graphene Flagship tested both these applications in recent experiments in November and December 2017. “We are aiming at an increased lifetime and an improved autonomy of the satellites and space probes. By adding graphene, we will have a more reliable loop heat pipe, capable to operate autonomously in space,” said Dr Marco Molina, Chief Technical Officer of Leonardo’s space line of business. After excellent results in laboratory tests, the wicks for the loop heat pipes were tested in two ESA parabolic flight campaigns in November and December. “We have good tests done on earth in the lab, and now of course because the applications will be in satellites, we needed to see how the wicks perform in low gravity conditions and also in hypergravity conditions, to simulate a satellite launch,” added Prof Ferrari. “It was amazing, the feeling is incredible and its extremely interesting to do experiments in these kinds of conditions but also to enjoy the free-floating zone. The whole experience was really great,” said Vanja Miskovic, a student at Université libre de Bruxelles who performed the experiment in microgravity during a parabolic flight operated by Novespace. Testing graphene space-propulsion potential, a team of PhD students from Delft Technical University (TU Delft), Netherlands participated in ESA’s Drop Your Thesis! campaign, which offers students the chance to perform an experiment in microgravity at the ZARM Drop Tower in Bremen, Germany. To create extreme microgravity conditions, down to one millionth of the Earth’s gravitational force, a capsule containing the experiment is catapulted up and down the 146 metre tower, leading to 9.3 seconds of weightlessness. The TU Delft Space Institute, Netherlands, also provided support to the GrapheneX project. The team worked hard to make the experiment successful. “Despite the initial technical difficulties, we managed to quickly figure out what was going on, fix the issues and get back on track. We are very happy with the results of the experiment as we observed laser-induced motion of a graphene light sail, and most importantly we had a great experience!” said Davide Stefani, GrapheneX team member. The results of the two projects demonstrate graphene’s versatility and are the first step towards expanding the frontiers of graphene research. “The vision is to make a plant that will function as a desk lamp—a lamp that you don’t have to plug in. 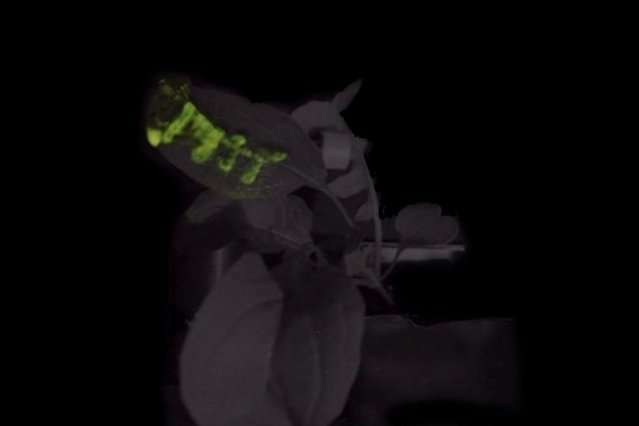 The light is ultimately powered by the energy metabolism of the plant itself,” says Michael Strano, the Carbon P. Dubbs Professor of Chemical Engineering at MIT and the senior author of the study. Sandia’s three-year Laboratory Directed Research and Development project investigated the nanoscale chemistry of solid-state batteries, focusing on the region where electrodes and electrolytes make contact. Most commercial lithium-ion batteries contain a liquid electrolyte and two solid electrodes, but solid-state batteries instead have a solid electrolyte layer, allowing them to last longer and operate more safely. 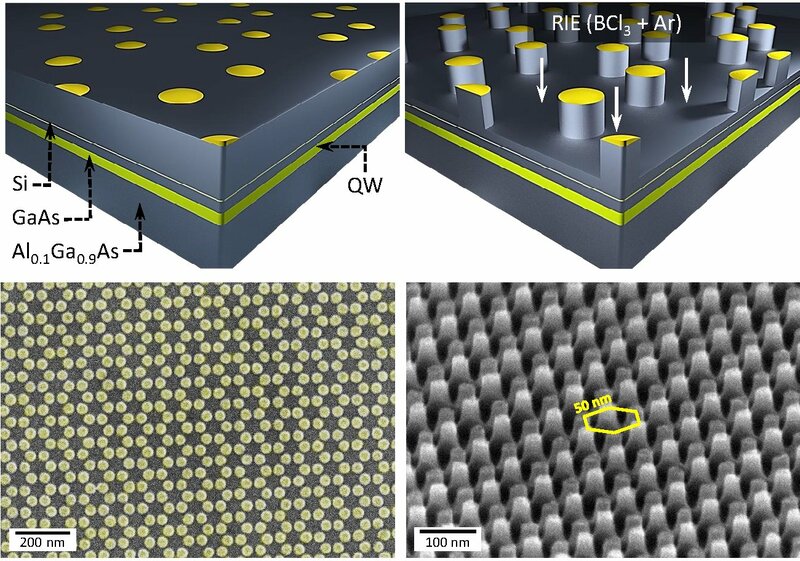 The research was published in a Nano Letters paper titled, “Non-Faradaic Li+ Migration and Chemical Coordination across Solid-State Battery Interfaces.” Authors include Sandia postdoctoral scientist Forrest Gittleson and El Gabaly. The work was funded by the Laboratory Directed Research and Development program, with supplemental funding by the Department of Energy’s Office of Science. El Gabaly explained that in any lithium battery, the lithium must travel back and forth from one electrode to the other when it is charged and discharged. However, the mobility of lithium ions is not the same in all materials and interfaces between materials are a major obstacle. El Gabaly compares the work to figuring out how to make traffic move quickly through a busy intersection. “For us, we are trying to reduce the traffic jam at the junction between two materials,” he said. El Gabaly likened the electrode-electrolyte interface to a tollbooth or merge on a freeway. There are two important interfaces in solid state batteries, he explained, at the cathode-electrolyte junction and electrolyte-anode junction. Either could be dictating the performance limits of a full battery. El Gabaly said Sandia is interested in the research mainly because solid-state batteries are low maintenance, reliable and safe. Liquid electrolytes are typically reactive, volatile and highly flammable and are a leading cause of commercial battery failure. Eliminating the liquid component can make these devices perform better. Since Sandia’s California laboratory did not conduct solid-state battery research, the project first built the foundation to prototype batteries and examine interfaces. The research was conducted using materials that have been used in previous proof-of-concept solid-state batteries. The work used pulsed laser deposition and X-ray photoelectron spectroscopy combined with electrochemical techniques. This allowed very small-scale deposition since the batteries are thin and integrated on a silicon wafer. “Using this method, we can engineer the interface down to the nanometer or even subnanometer level,” Gittleson said, adding that hundreds of samples were created. 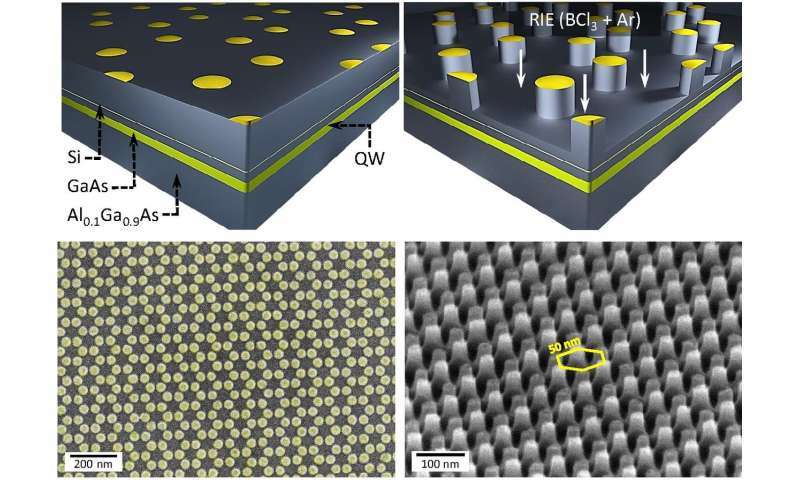 Building batteries in this way allowed the researchers to get a precise view of what that interface looks like because the materials can be assembled so controllably. The next phase of the research is to improve the performance of the batteries and to assemble them alongside other Sandia technologies.